Lancome Colour Fever Lipsticks have been around a while now, and no longer in most department stores or on the Lancome website. I keep bumping into these in large discount stores and online. When they first came out the retailed at £19, but can be found online for a slice of the price. If you're looking online make sure you trust the site or seller before buying. I've had these a while now, and not really been bothered by them until I rediscovered these the other day at the bottom of one of my make up boxes. In order we have Soho Red, Island Peach and Beige Loo. The coverage all these lipstick give are sheer, giving your lips a gorgeous wash of colour. 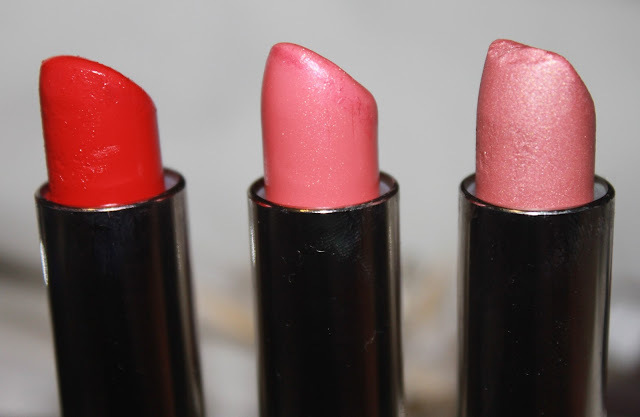 What I love about these lipsticks to is how buildable they are. Soho Red is a super glossy bright red. I love how this is on my lips. Even though it's an incredible red, it still seems to me to have an orange tone to it. I love this lipstick, and it's perfect for me to use in the summer. 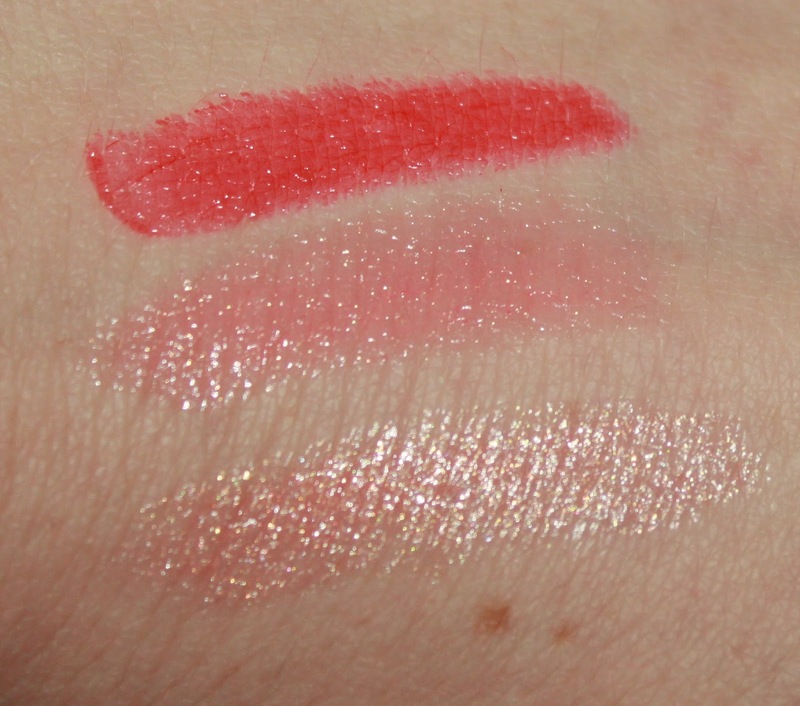 I love how this feels too, even though it's sheer and glossy, it has a creamy feel to it. It really does feel lovely. Applying was a bit of a pain because of it's glossy feel. It tends to bleed a lot which can be a bit of a nightmare. 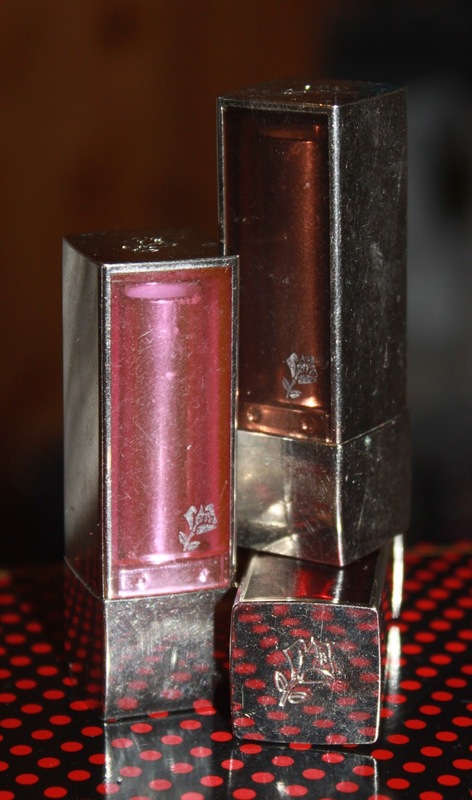 This baby also lasted a while too, which I was surprised about as most glossy lipstick seem to fade quickly on me. Island Peach is my favourite of the 3 and my most worn. I use this a lot to add to my every day look. 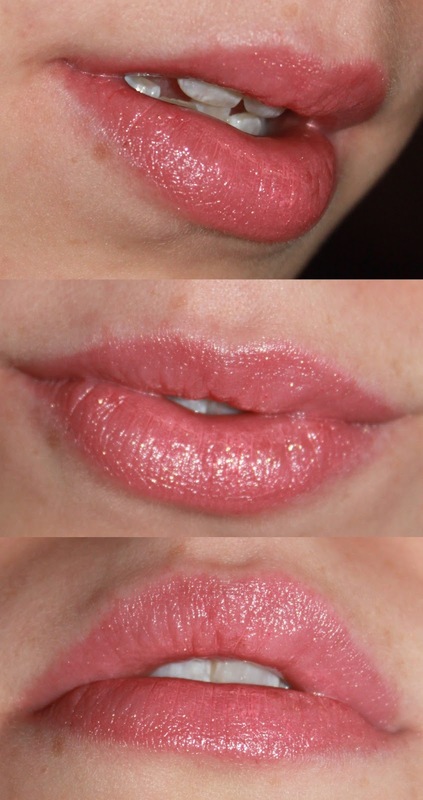 This is a gorgeous sheer coral pink colour with some serious shine. This has just the right amount of shimmer for me, just enough to still keep things natural. This has the same feel to Soho Red, although not as glossy. I loved applying this. I had no troubles at all and it lasted really well. Beige Loo to me is just stunning. 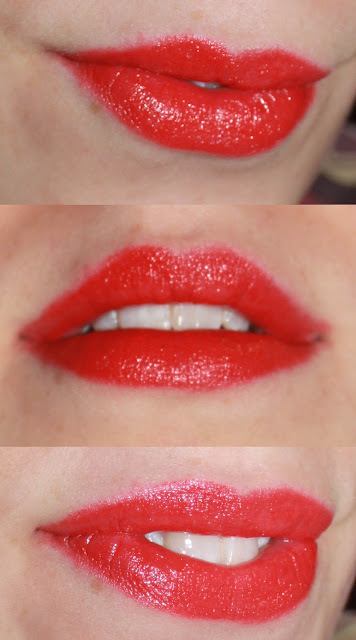 I'm not a massive fan of glittery lipsticks but I just love how this looks. It's perfect for adding a bit more glamour to a natural look. If I wear this shade I usually have little make up on. This one still felt as creamy as the others but felt a little more bitty, but it wasn't a problem. 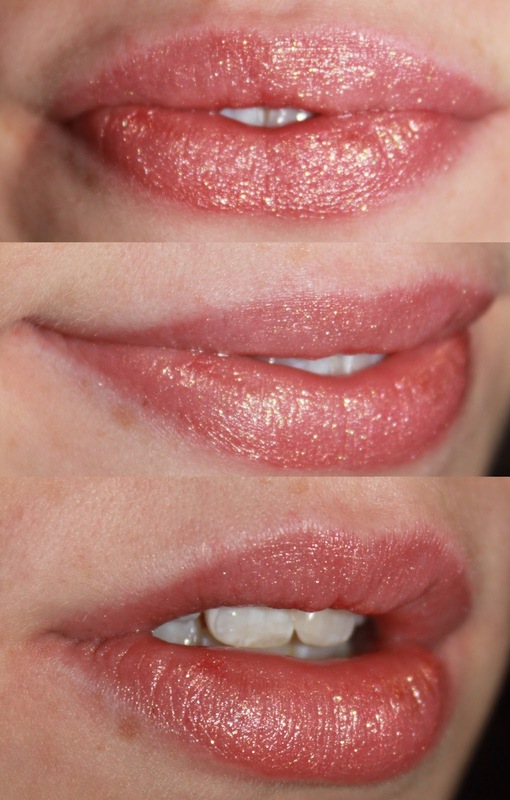 This is probably because of the amount of shimmer in this particular shade. Overall I love these sheer babies and all work really well for me. After finding these again I really want to buy some of their latest lipsticks - But not until the spending ban is over! Let me know in the comments if you've ever tried these or what you think of the shades. Thanks so much for reading!